The 40th Anniversary collection of Black Series 6″ figures included Princess Leia, packaged on a larger-scale action figure backing card. While I already own the Black Series 6″ Princess Leia figure which came in the standard black box packaging, the vintage-style card makes this a neat addition to my Princess Leia collection. 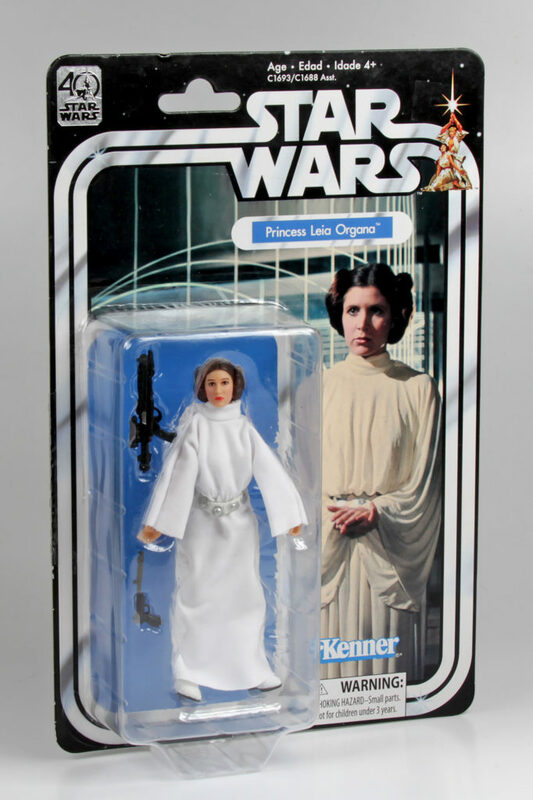 While I am not old enough to feel nostalgic about the vintage Kenner-era packaging design, I do love when Leia collectibles feature an image of Carrie Fisher in her role as Leia.